Didn't look like the most romantic moment. 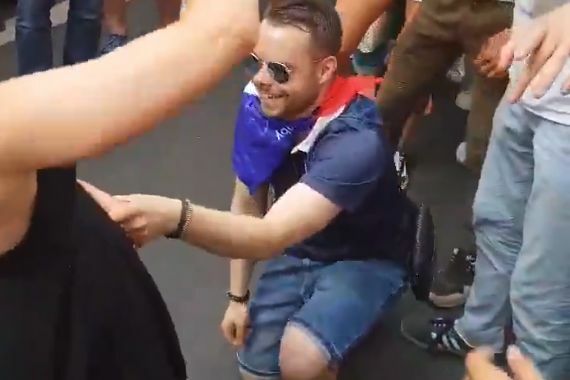 A fan was so caught up in the emotion of France’s World Cup win on Sunday that he decided to propose in the midst of the celebrations in his country. His desired did not seem overly impressed, presumably because he looked a little tipsy and was singing football songs throughout. She wagged her finger in an effort to tell the gathered crowd of her objections. The man doesn’t seem to mind though and gets up off one knee and embraces her.